Hailed as the greatest show on the face of the planet, The Office is filled with a seemingly infinite pool of wisdom on life and work. From dealing with difficult co-workers and bosses to building caring relationships, The Office discussed it all. But, believe it or not, it also taught us a lot about marketing. Watch as we break down the 11 marketing best practices you never knew The Office taught you. As Dwight Schrute would say: pay attention this time, idiot! 1. Know How to Market Yourself. This embarrassing faux pas was the result of Michael’s poorly conceived self-image. It is not a scenario that many people – or companies – would want to echo. To avoid these catastrophes, have set plans from the start that outline exactly how you want your company to be perceived. Are you more business professional or casual? What are your goals as an organization? Are your efforts being perceived the correct way by your customers? To build an effective brand, you must start by organizing your image. 2. Get into the Head of Your Target Persona. As Michael Scott attempts to embody the life of a prisoner by becoming Prison Mike, you too must attempt to jump into the head of your persona. Although your perceptions may not be 100% correct, it will still give you a better understanding of what drives your target audience. What do they care about? What is their family situation like? What interests do they have inside and outside the workplace? Always remember, you are targeting a person, not a job title. 3. Create Content that Will Resonate with Your Target Audience. Great marketing messages do more than offer up empty benefits. They tell stories that hit us where it matters. 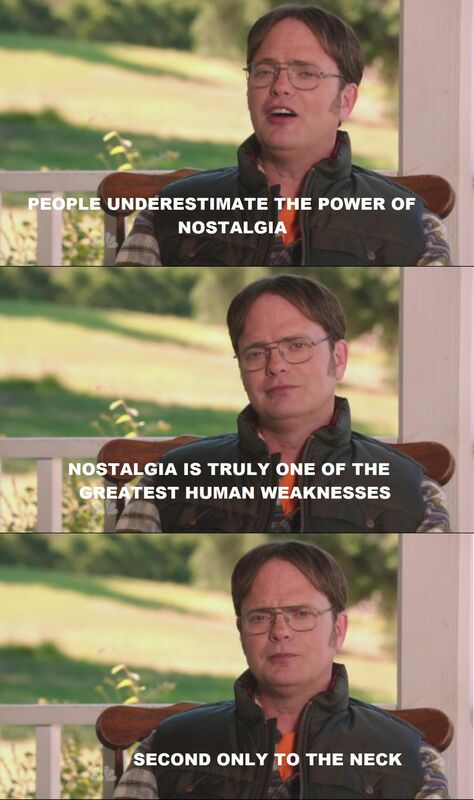 At the end of the day, we are all humans, and nostalgia (as Dwight says) is a common weakness to be targeted. Feelings run deep within our kind – or at least most of us. Don’t be afraid to tap into the heart to devise a message with more potency and power. Typically, it beats out a run-of-the-mill information sheet, anyways. 4. Think Your Marketing Strategies Through. Think your marketing strategies through. Don’t make any rash promotional decisions. And don’t accidentally send five different 10% off coupons to your largest client without setting certain rules and regulations – such as a “limit one per customer” restriction. You risk the chance of accidentally offering your largest customer 50% off of their order, which is what happened to poor Michael Scott. Be smart about your marketing and look to protect your company first and foremost. 5. Consider the Content that You Create from Multiple Angles. 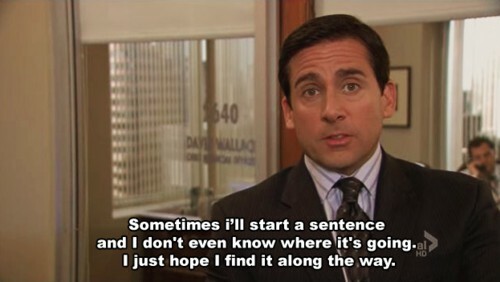 Thinking before he speaks has never been a strength of Michael Scott, but it is something that has become a necessity today. 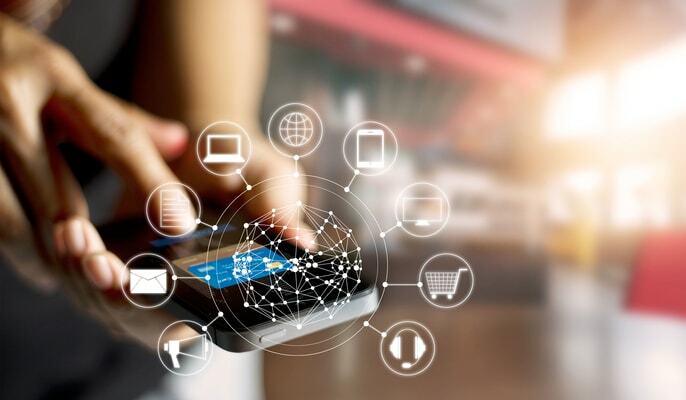 With the birth of social media, content is being consumed all over the world by anyone with an Internet connection. As a result, it has become increasingly simple to accidentally offend a person or group. Your company must consider how content can be perceived from all angles to avoid the possibility of a miss-interpretation. Companies that fail to do this can easily find themselves in deep water. Just check out our blog on the greatest marketing fails for a few harrowing examples. 6. Research and Cite Credible Sources. False. Unlike Michael Scott, we do not promote the use of Wikipedia as a credible source. A content piece is only as a good as the research that backs it. If you want your readers to take your company and your content seriously, then use dependable, third-party sources. 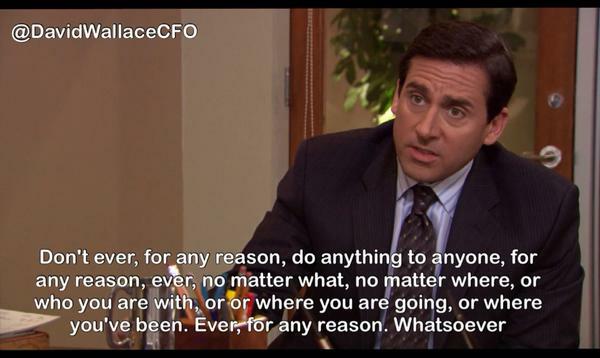 Unless, of course, you are writing a blog about The Office. Then use whatever sources you can find on YouTube. 7. Be Clear and To-the-point in Your Messaging. As Michael demonstrates, listening to someone’s worthless ramblings can be painful. Rambling loses audience interest. Get – to – the –point. And do it quickly. If someone is taking minutes out of their day to read your company’s content, then be sure not to waste their time. 8. Figure out What Your Target Audience Considers Valuable. After you explore your target persona and create an engaging message that will hook their interest, the time comes to propose a next step. You must devise a way to motivate your reader to act. What can you provide that your target prospects will find value in? What will get them to reach out to start a conversation rather than scoff at your efforts like blunt Stanley? Options range from gift cards to complimentary assessments, but at the end of the day, you must bait the hook with an effective value-prop to catch a lead. 9. Be Prepared to Support the Statements You Make. Declaring you are going to do something without any execution is worthless, as Oscar later explains to Michael. Don’t make blind, open statements you have no intention of following through on. 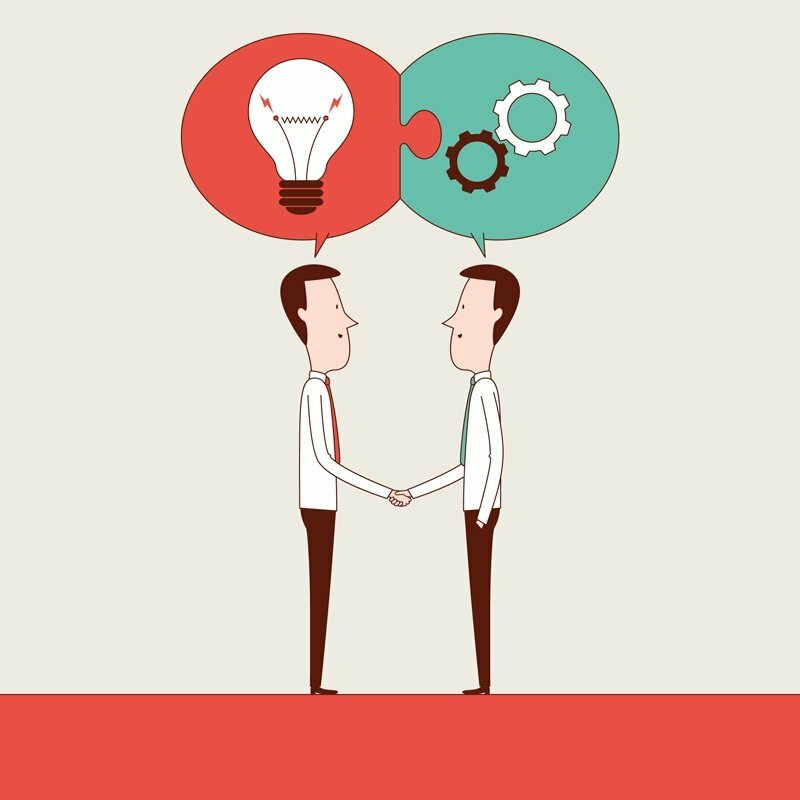 Deliver what you promise or risk breaking the delicate trust that commences each business relationship. Set a date for that assessment. Send those gift cards to the winners of your promotion. Even if promotions aren’t involved, back your company claims with case studies and testimonials to make your organization more credible. 10. Devise Strategies to Get Your Messages Out There. Once you craft your message, you must find the best channels to give it flight. 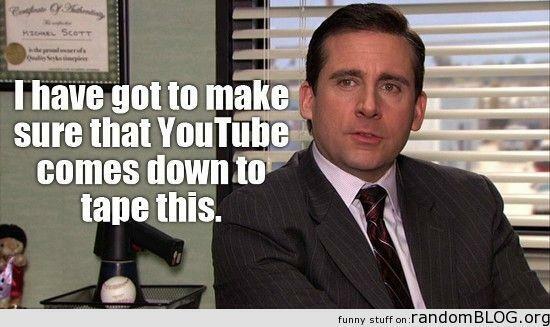 Whether it’s a digital PPC LinkedIn campaign, a newsletter, an email, a blog, or – yes, Michael Scott – even YouTube, find ways to promote your content to claim as many views as possible. More eyes on your work means a higher possibility of a conversion. 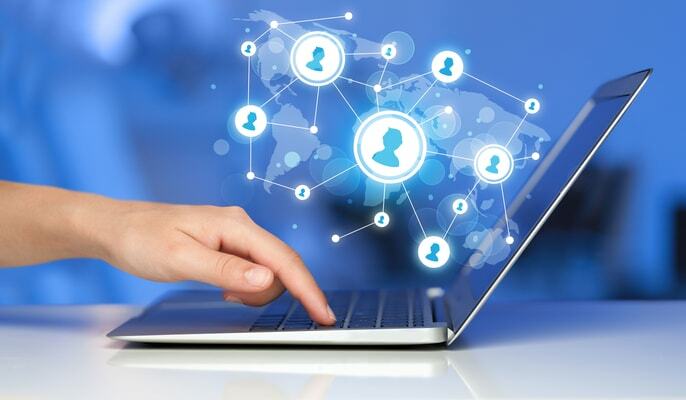 Boost visibility even more by getting your greater teams involved with social media campaigns. A share on a social platform leads to exponentially more views and exposure. 11. Know Your Competition’s Weaknesses. Study your competition. See what they are doing to promote their brand and solutions. Discover their weaknesses so that you can target them like Dwight targets “the groin of the head.” Then, play-up your strengths in comparison. Overall, use this information in your marketing efforts to visibly separate your organization from the pack – all for the sake of attracting new customers. So there you have it, folks. 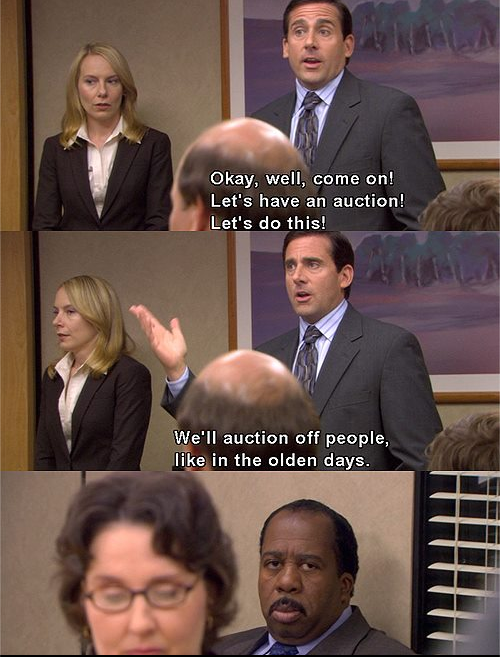 These were the marketing tips you never knew The Office taught us. But, be warned: they just scratch the surface. To build a truly effective marketing strategy, follow the lead of Jim and Pam. Learn how to build a lasting relationship between your sales and marketing teams in our eBook, How to Create a Love Story Between Inbound and Outbound Marketing.